Silas Thurman runs the show. 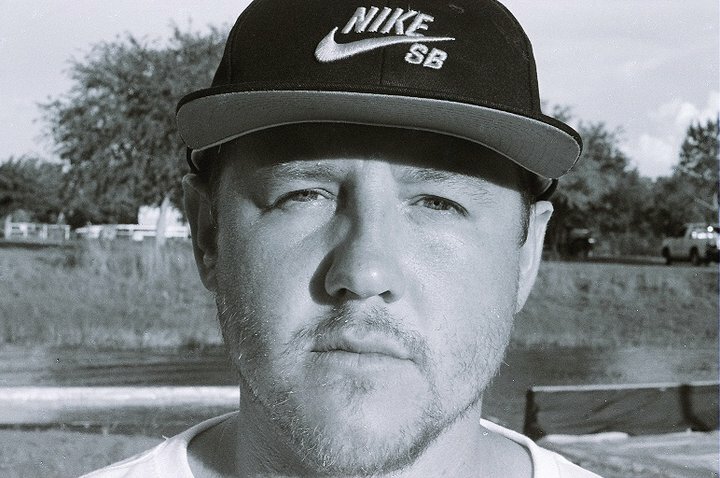 Thurman is the team manger of the most talented wake team in the industry, the NIKE 6.0 wake team. Other than always having the freshest shoes, he has turned his passion into a career. Thurman grew up in the misty skies of Oregon but that did not hinder him from finding his calling on the water. Wake skating is what inspired him. Thurman has talents that put him in elite status as a rider, but the knowledge of the sport and its intricacies have led him to be a contest judge, team manger, and wake skate company owner. Lets meet Silas Thurman who’s job is to shape the future of wake sports with the powers of a NIKE and Sea-Doo. ONBOARD – Silas, where did you grow up and where does your passion for watersports come from? I grew up in St. Helens, Oregon skateboarding and snowboarding with friends. I started wakeboarding a bit after high school and quickly was cutting down boards and adding grip tape to them to wakeskate. Soon after that I met Thomas Horrell and the Cassette crew who rode behind Sea-Doo a watercraft exclusively and basically tried to do what they were doing. They really had a good team and made wakeskating fun and helped evolve into what it is today. As I’m getting older in the industry, but having been around it for over ten years now, I’ve moved into more of the business side of things. I’ve been the team manager for Nike Wake North America and Western Europe for a while now and recently started a wake skate company, Remote Wakeskates, with friend and Professional wakeskater Ben Horan. As much fun as I had as just a professional wakeskater, I think right now is the most exciting time of my career. Were running companies that make big impacts on the industry and starting events that, I believe, will be the future of the sport. ONBOARD – Silas, what is the most challenging aspect of managing the Nike team?What is the most rewarding? I think the most challenging part of it has to be the times when it goes from fun team trips and riding to the business side. There’s responsibilities that aren’t seen from the outside. When kids and fans look at action sports they see the fun and dream job aspects of it. They don’t think about contracts ending, career changing injuries, and short life spans. Those are just the beginnings of what any Team Manager has to deal with. I think the most rewarding is working with friends all the time and people and companies like BRP who share the same passion for something as you do. We don’t punch in and we never punch out. When you’re in these sports it becomes your life. It’s tough, but you’re doing something you love and I think if you enjoy your career you can’t really ask for anything else. ONBOARD – How were you introduced to Wakeskating? I started riding cut down wakeboards with grip tape with a good wakeboarder and friend of mine, Justin Fischer, who is also from St. Helens, Oregon. Soon after Thomas came out with wood wakeskates — it was an amazing time. ONBOARD – Which is your favorite wakeskate related event you have been a part of? Hands down Retention Nike made it possible for us to put on one of the biggest events in wakeskatings history. Ben Horan and I did a lot of the work leading up to the event and it came out amazing. I really think that is the future of competitive wakeskating. People are always going to do most of their riding behind a Sea-Doo, but when it comes to events your going to take what you’ve learned behind your Sea- Doo and take it to drops and urban spots. ONBOARD – Silas, how does Sea-Doo fit into your riding? Why is Sea-Doo good for the team? For me it’s just getting to ride flat water and hit rails behind my Sea-Doo WAKE PRO 215 I could do it all day. I love the feeling. There’s nothing better. ONBOARD – where is your favorite riding location and where is your dream ride? I love my spot in Oregon on the Multnomah Channel where I used to live. Lake Winona in Florida has been my spot for the last few years and my dream spot would have to be this spot I went to with Andrew Pastura and Shawn Perry in the Philippines. We didn’t get to ride there, but I know they have had Sea-Doo’s out there. It’s on the ocean cliff walls all over and you can see down to the bottom everywhere. It’s so amazing. We have some big stuff planned this year with Remote touring around the US with our Sea-Doo watercraft. I’m really excited about that. The Remote team is great and we have so much fun. Nike, Remote Wakeskates, and BRP are really the ones taking care of me. All have been great and changed my life forever. BRP thanks Silas Thurman for his time and passion for the sport and dedication to push wakeskating forward and bring the youth into this activity. You can follow Silas’ adventures on the OnBoard blog and on his Facebook page.